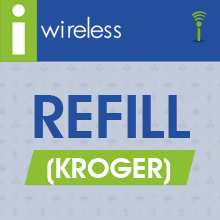 Available - Contact I-Wireless (A Kroger Co.) for rates. Dial #829 from your I-Wireless phone. - For technical assistance, please call 1-866-594-3644.